Murder On The Orient Express Trailer Finally Offers Some Meat To The Story We Know - Are You Screening? 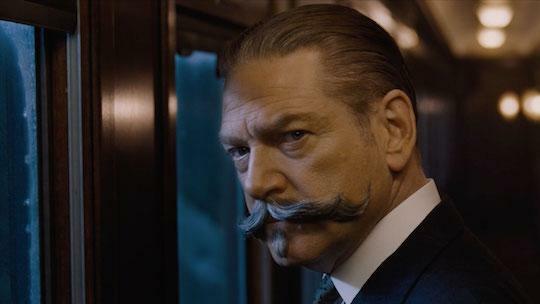 Murder on the Orient Express is a film that is probably entering the “passion project” space, but Kenneth Branagh has a pretty good record with movies that might seem unnecessary or unmanageable. There are a lot of hurdles to overcome in putting this one on film again, and that’s after you get past reinventing something that had an unbeatable cast already. While new audiences will perhaps find much to love in a story that has sucked people in for years, you have to wonder how many times the indoctrinated can watch the same murder mystery. In any event, the movie is finally giving us a feel for the film and letting us see some of the actors at work. While the cast has a lot of big names, all of whom will have some interesting work to do with these characters, Johnny Depp is in a particularly good place to show off his abilities, and the trailer hints that he’ll pull it off. Possibly the most interesting challenge will be getting today’s audiences to invest fully in a film that is ultimately just a bunch of people sitting around talking in a confined space. We’ll see if Branagh can successfully update the draw. Take a look at the trailer and let us know what you think of this one. “Murder on the Orient Express” tells the tale of thirteen strangers stranded on a train, where everyone’s a suspect and clues are everywhere. Kenneth Branagh directs and leads an all-star cast including Penélope Cruz, Willem Dafoe, Judi Dench, Johnny Depp, Michelle Pfeiffer, Daisy Ridley and Josh Gad. There are clues to be found. Everyone is a suspect. Make sure to look for a NEW clue hidden in this latest trailer. Visit CluesAreEverywhere.com to uncover more clues and learn about the suspects aboard the Orient Express.